Wood flooring is available with almost endless combinations of texture or grade, grain, and colour finish. The sheer number of options on offer could mean that you find yourself struggling to make a decision on the perfect look for your home or business. We have built our business via personal recommendations. This is partly because we spare no effort to help you make the right choice, and to pick a floor that’s just right for you – one that you will be happy with for years after it’s been fitted. 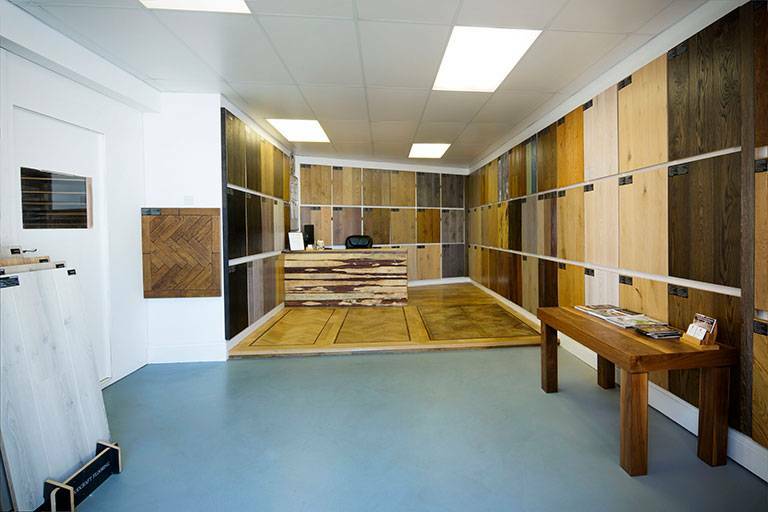 If you come to our showroom in North London you will have the opportunity to view a demonstration floor (10 square metres) and see for yourself the variations in the surface of the planks that make every floor different. We can also carry out a detailed consultation at your home or business premises if you prefer. You’ll receive practical and straightforward advice on every aspect of choosing and owning a wood floor, with all details explored and discussed thoroughly until you are confident that you are making a well-informed and sound decision on the particular look that best suits you. Once you have made your initial choice, we will conduct a site survey – that is, a visit to carry out a thorough inspection of the room(s) where your wood floor is to be installed. During our visit we will take moisture / damp readings, and inspect the sub floor (the surface on which your flooring will sit) to make sure it is thoroughly prepared. We will also bring a sample of your chosen floor so that you can see it ‘in situ’ and be sure that it is exactly what you want. If it is not, then we will arrange another visit to bring more samples. Once the inspection is complete and you are happy to go ahead, you’ll receive a detailed report explaining any necessary steps that might be required prior to installing your wood floor. This is to make absolutely sure that there are no problems when our craftsmen turn up for the fitting. two more weeks for the planks to be finished by us, by hand. Depending on your specification, we might use some or all of the following: distressing techniques (using hand tools only), colour finishes, clear finish, and oil. Some looks require multiple coats to achieve (the exact method being a trade secret), and each coat is carefully applied by hand and left to dry before the plank is ready for another. If you want your floor distressed then it will take longer to make, because our founder Mursel will not allow anyone else to distress planks. Larger floors with more planks will also take longer, with the planks being finished and fitted in stages. Once all the planks are ready we will contact you to arrange the installation. Delivery and fitting at a time and date to suit you is assured. You will be kept up to date with progress and consulted at all key stages. You choose your level of involvement – it is entirely up to you. any patches or other noticeable variation in the oiling of the individual planks will not be tolerated. The result is a uniform appearance, to your specifications, across the entire floor. Our expert tradesmen will make and fit door bars, bespoke stair nosing and all other trim required on site. All installations are guaranteed for five years – all species of wood, all types of flooring. All engineered products, including parquet boards, in any species. We also off the same guarantee our solid Oak planks (as long as they are not used with underfloor heating) and solid parquet blocks of any species. At the end of the installation we will give you information on how to care for your wood floor and prolong its life. Any reputable company will do the same. We will also give you the materials and tools required to keep your new floor clean, at no extra charge. Again, other reputable companies will also do this. What sets Woodcraft apart from other businesses is the exceptional level of care and service that you will experience after the installation. give you ongoing support and advice on any and all problems you have that prevent your floor looking great. All of these services are free of charge within the first three years. Why? Because we care deeply about providing the very best quality product and service, and we want you to love your floor as much as we do. This is what makes us so different. Simply put, we treat each and every floor we make and fit as if it were our own.